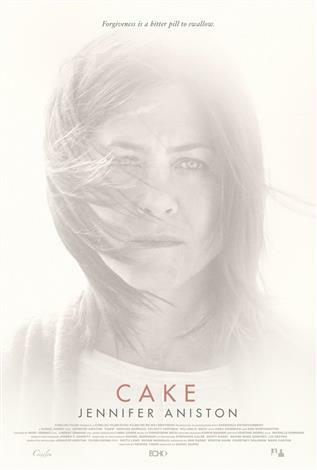 Cake is based on a Black List script by Patrick Tobin. In her strongest and most challenging role to date, Jennifer Aniston stars as the acerbic and hilarious Claire Simmons, who becomes fascinated by the suicide of Nina (Anna Kendrick), a woman in her chronic pain support group. As she uncovers the details of Nina's suicide and develops a poignant relationship with Nina's husband (Sam Worthington), Claire also grapples with her own very raw personal tragedy.